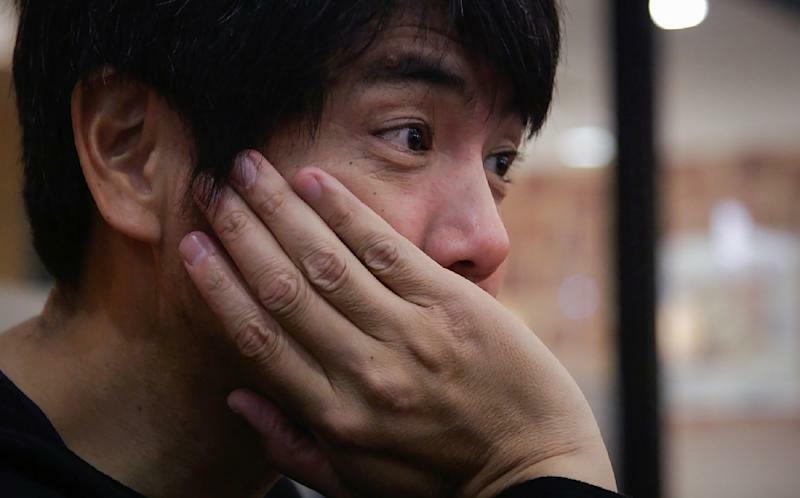 Tokyo (AFP) - From lonely pensioners to Japanese schoolgirls with shattered dreams, Takanobu Nishimoto and his crew of middle-aged men will lend an ear to clients who would never dream of spilling their guts to a therapist or worse, their families. Anyone in need of company can sign up to his online service to rent an "ossan" -- a man aged between 45 and 55 -- for 1,000 yen ($10) an hour. "For me, the service is a hobby more than anything," says Nishimoto, who first came up with the concept four years ago and who now has a growing network of some 60 men across Japan. "The initial idea was to improve the image of guys my age, people who might not be spring chickens anymore and not taken so seriously." And while the 48-year-old professional fashion coordinator is used to renting himself out, he insists conversation is all he offers to between 30 and 40 clients a month, roughly 70 percent of whom are women. "The people who rent me are just asking me to keep them company for an hour or two, mainly to listen to them," he tells AFP between sessions, giving the example of a woman in her 80s who would book him every week for a walk around the local park. "I almost became like her son," he says. Other clients include a fisherman who was sick of waiting in solitary silence for a catch, a college student with ambitions to get into show business but who lacked family support, and an awkward young employee who did not know how to behave around his direct supervisor. Japan has struggled with problems of social isolation, most notably the phenomenon of "hikikomori" where people, often teens and young adults, refuse to leave the house or engage socially, instead opting to play video games or remain in their rooms. But the people who come to Nishimoto do not suffer from detachment from society or challenges adjusting to it. 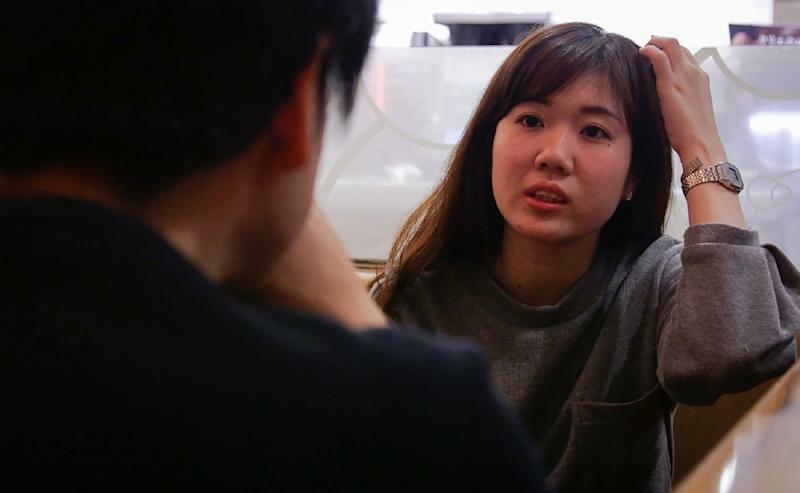 Rather, those who use the service say it allows them to forget the expectations of their family and friends and speak freely -- an option which experts say is especially useful in Japan, where social roles can be tightly defined and expectations rigid. "There's a different 'me' depending on whether I'm with my friends, my family, or my boyfriend," says 24-year-old Nodoka Hyodo after her session with Nishimoto. She explains: "I create a 'me' in relation to others. Here, all that disappears because I'm talking to someone I don't know -- thanks to him, I feel like I'm understanding myself better." Psychologist Hiroaki Enomoto stresses that in Japan there are social norms governing what can and can't be said even with close associates. "When you come up against something new, it might be difficult to talk about this with someone because you might not necessarily have a suitable person in your existing circles," he tells AFP. "It's difficult to know how to express yourself without bothering someone else." But by renting an "ossan" the relationship becomes a commercial one and thus follows different rules. In recent years, a number of agencies have been offering "rent-a-friend" services paid by the hour. Customers can rent an agency employee as a fake friend, family member, or companion for various occasions such as weddings, funerals and parties. Some use them just to have a conversation partner to ease times of loneliness and isolation in old age. The married Nishimoto says he has considered stopping the service several times, but found that he needed his clients just as much as they needed him. "I never know exactly what they're going to ask for when they rent me, and of course that's a bit scary, but it's also why it's so interesting. Honestly, I've never had problems with any weird clients... I've had plenty of emotional experiences."